This year's Who Do You Think You Are was a great success. 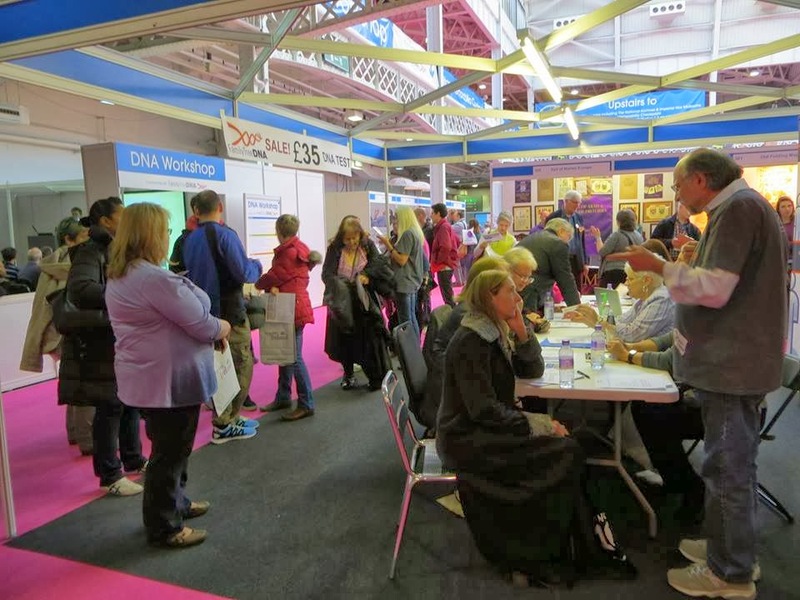 There were huge crowds lining up to be DNA tested and FTDNA ran out of kits on the last day. Over 500 people were tested making this the most popular year for DNA testing yet. 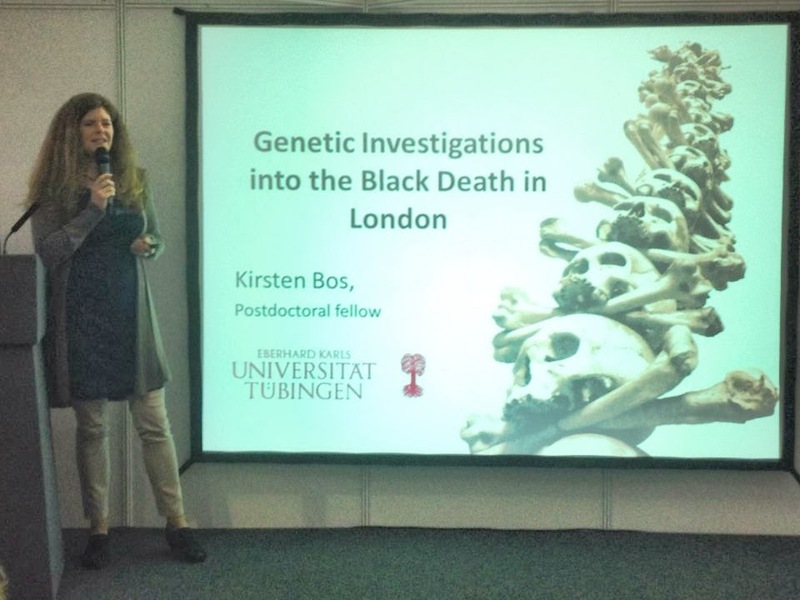 The DNA Lectures went down very well and the line-up of Academics and Citizen Scientists covered a rich array of topics, far broader than previous years. 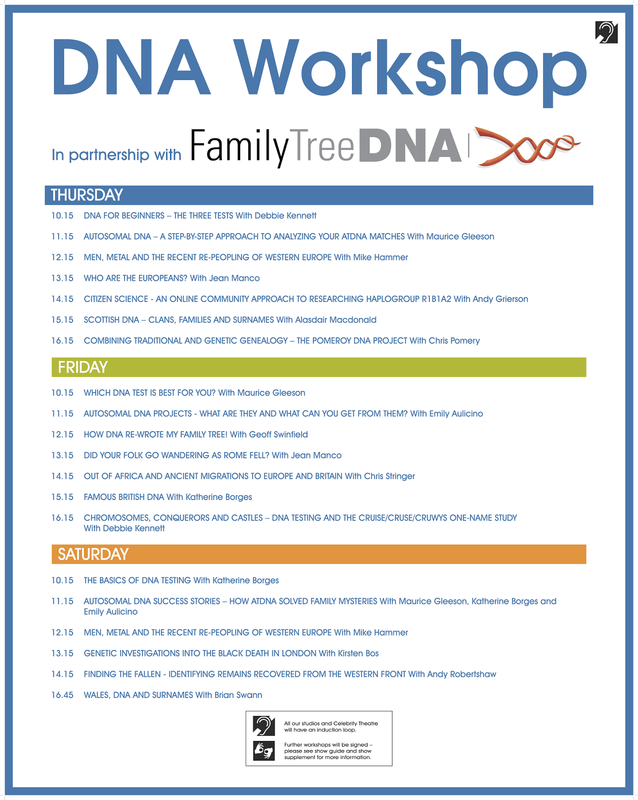 The good news is that many of these presentations were recorded and are slowly becoming available on the dedicated YouTube channel "DNA Lectures - Who Do You Think You Are 2014"
The full schedule of DNA Lectures is available here and below. Just click on the image for the larger version. You can read Debbie Kennett's blog about the recent WDYTYA show here and Emily Aulicino's blog here.